Both film and digital projectors can suffer from blinking or flickering problems when projecting images on screen. This may be due to a fluctuating power source, a bulb or optical problem, a low refresh rate on a digital projector or a low frame rate on a film projector. Refresh rate refers to the number of times a displayed image is regenerated using a digital projector. Frame rate refers to the number of frames shown on screen every second using a film projector. Blinking can be a result of a fluctuating electrical source, which can simply be resolved by transferring the projector’s plug to a fully functional wall outlet. Some high-end surge protectors also can help stop the flickering effect, which may come from line voltage changes. A ground loop, which refers to a generally unwanted current in a conductor, also can cause the problem. A damaged main or lighting cable can lead to such flickering issues, as well. A worn-out bulb in the projector is a common cause of a blinking screen. Resolving this problem requires replacing the lamp with a new one. If this solution doesn’t remove the blinking screen issue during projection, the problem may be due to a damage on any part of the projector’s optical or lighting components. Repair or replacement of these parts typically will fix the blinking problem. The refresh rate of a displayed image is measured in cycles per second, specifically in the hertz unit. The lower the refresh rate, the more blinking you experience when viewing the projected footage. For instance, a refresh rate of 60 hertz means the footage being displayed on screen is regenerated 60 times every second. Adjusting this to a higher refresh rate can minimize the blinking seen on screen because the regeneration of footage causing the flicker would be too fast for the human eye to detect – although technically, the flickering is still there. A film’s frame rate is measured in frames per second, or fps. Similar to the refresh rate, the higher the frame rate, the less susceptibility to blinking. However, a film projection is expected to have a tolerable flickering effect even when played normally in the film standard 24 fps. This is an acceptable fact when watching projected footage in film format. 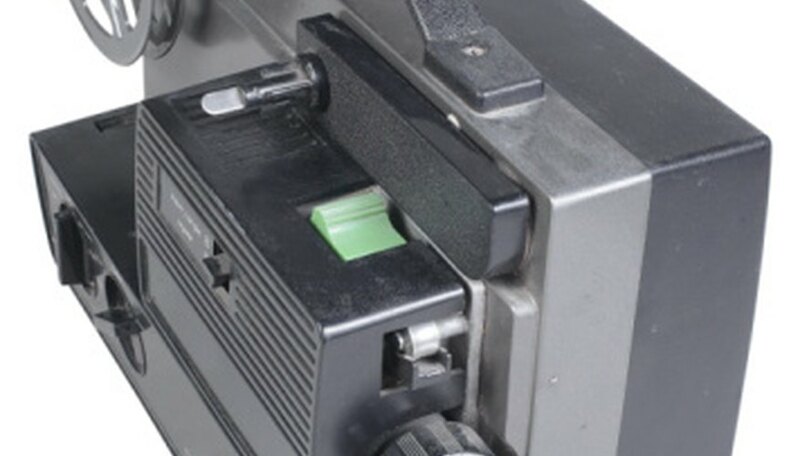 When recording projected film in video format to digitize a copy of the film for easier playback and archiving, the frame rate difference between the film projector and the camera you use to shoot the projected footage results in annoying flickers on the recorded video. To minimize this, adjust the frame rate of both the projector and video camera to the nearest possible figures relative to each other. If possible, have them run with the same frame rate of 24 fps.